As a full-sized sedan designed for luxury, the Chrysler 300 could bring your driving to the next level. The sleek exterior can be customized in a variety of ways to allow you to drive a vehicle that you love. My Chrysler Dodge Jeep RAM FIAT will be happy to show you the eight different colors available to choose from. The Chrysler 300 comes with nine different options for a wheelset. You can choose between 17-, 18-, 19-, or 20-inch sizes, and you'll be able to select a color and finish that matches your vehicle. When our friends and neighbors go searching for a new vehicle, they want one that offers plenty of exciting and innovative interior features. As such, the friendly representatives here at My Chrysler Dodge Jeep RAM FIAT often suggests that they consider purchasing the new Chrysler Pacifica Hybrid. This popular hybrid minivan has something to offer for the whole family. For example, if your children have a tendency to make a mess while on the road, you will be able to make use of the Chrysler Pacifica Hybrid's Stow ’n Vac integrated vacuum cleaner. If you’ve never owned a pickup truck, making the transition from a car to a truck can be a big deal. We want you to be able to feel comfortable with your choice and make an informed decision if it comes down to you making the purchase. Come to My Chrysler Dodge Jeep RAM FIAT and let us show you the many reasons why you should buy a pickup truck for your next vehicle. If you can answer yes to even some of these questions, you may be the perfect candidate to buy and own a pickup truck. When you buy a minivan for your family, one of the most important aspects is performance and reliability. That's why our customers at My Chrysler Dodge Jeep RAM FIAT love the Chrysler Pacifica. This popular minivan not only has room for everyone along with lots of cargo space, it's built to perform during your daily tasks as well as for longer adventures. When equipped with the standard 3.6-liter engine, your Pacifica sips gas with an estimated 28 mpg on the road. Hybrid powertrains are also available, allowing you to get up to an amazing 82 mpg! The 2019 RAM 2500 is a good-looking and hard-working full-size pickup truck. Even though the 2500 can more than hold its own in the hauling and work areas, it also includes a number of sophisticated safety and awareness features that give drivers an edge. These features include LED bed lighting, cargo cameras, and even backup viewing assistance. It can be difficult for drivers to clearly view their loads during dusk hours, but the RAM 2500 solves this problem with a specialize LED bed lighting system. 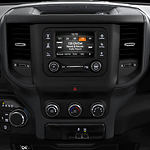 The Jeep Renegade is a vehicle that has dynamic interior style. If you are looking for a vehicle that has a luxurious feel, the Jeep Renegade will not disappoint you. The 2018 Jeep Renegade was designed to take you on spontaneous adventures. 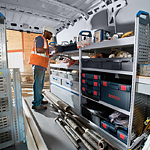 This vehicle offers premium mesh seating and a redesigned center stack. Aside from this, there are also several tech storage solutions. The new Renegade offers a sufficient amount of cargo room so that you can make the most of every adventure you go on. Drivers looking for a high-performance vehicle that still offers excellent fuel economy are often very pleased with the Dodge Durango, a popular mid-size SUV. The Durango truly gives you the room and performance of an SUV with the comfort and fuel efficiency of a car. At My Chrysler Dodge Jeep RAM FIAT, we have several models of the Dodge Durango for you to check out! Ram is committed to providing its drivers with the very safest ride on the road. This commitment to safety and security is perfectly exemplified in the new Ram 1500. This popular light-duty pickup truck demonstrates a host of active safety features, all designed to provide you with 100 percent confidence in any driving situation. The optional LaneSense Lane Departure Warning–Plus assists drivers by helping to prevent lane drifting through a visual alert. The alert then guides the Ram 1500 back into the proper position. Since 1925, Chrysler has consistently produced some of the most iconic and durable car models in history. Building on the legacy of quality vehicles at a fair price, Chrysler again offers drivers a stylishly designed vehicle that performs well on the road. 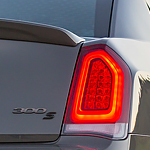 The Chrysler 300 is a popular full-size luxury sedan with plenty of visual appeal. All our staff at My Chrysler Dodge Jeep RAM FIAT know the importance of durability in a vehicle, especially with the cost of new vehicles increasing every year. The Ram ProMaster is a popular cargo van that lives up to its reputation as an extremely durable vehicle. To show consumers our confidence in the Ram ProMaster’s durability, the vehicle comes with the following warranty.